I really like hip-hop. A few months ago, as I was finishing my two years of Library School, I was taking a seminar called “Analysis of Scholarly Domains.” We were contemplating the structure of knowledge in University settings, and I was spending a lot of time thinking about which voices get included in the Academy, which become excluded, and why that happens. 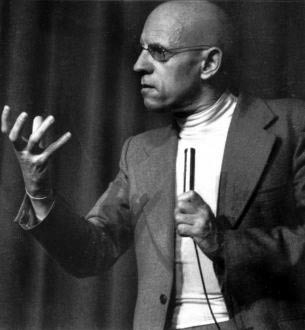 We’re talking nights spent awake until 2 and 3 a.m., reading Michel Foucault and banging my head against the desk until finally having the “a-ha” moment — so it’s that sort of “a lot of time thinking”! The result of all that thinking was a twenty page term paper called “Learning Between Borders,” a personal narrative of my own journey through the Academy, including my love of both MLA and hip-hop, and why I think they go smashingly together. Dwelling in a “Borderland” between academic and narrative writing, and drawing from the work of Gloria Anzaldúa, bell hooks, and Michel Foucault, this essay critically confronts and transgresses the disciplinary structure of information production, both inside the Academy and out. Scholars of Hip-Hop will be especially interested in the author’s analysis of Hip-Hop as a scholarly discourse, and her argument that different genres of scholarly discourse, such as Hip-Hop and MLA-style English, can and indeed should be blended within the Academy to stimulate new ways of thinking. ← Yes. We Are Getting a New Library. Yes! !